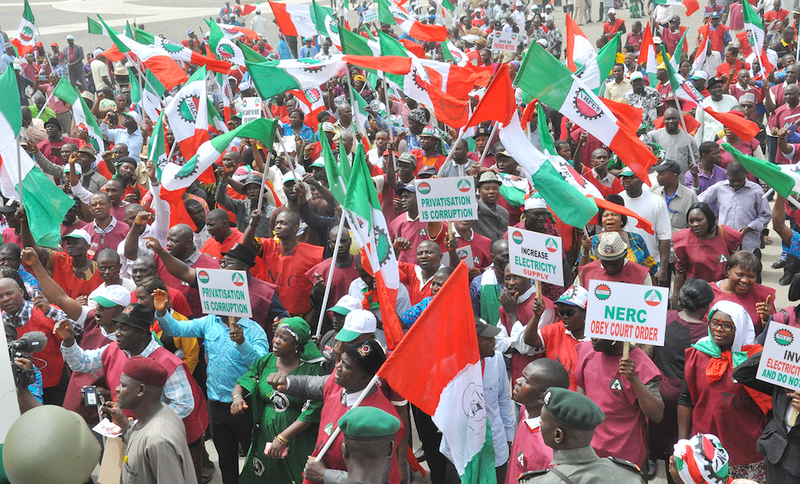 The Nigeria Labour Congress (NLC) has called on workers not to vote for any governor who refuses to pay the proposed N30,000 minimum wage in the forthcoming elections. It would be recalled that the national leadership of the NLC had directed the protest to register their dismay on the handling of the national minimum wage by the federal government. The Kano State branch Chairman of the union, Kabiru Ado Minjibir, while addressing a mammoth crowd when he led a protest march to Government House, wondered why state governors could not pay the N30,000 minimum wage, in view of their lavish expenses and extravagant government expenditures. He added that the N30,000 proposed minimum wage is realistic should the state governors cut their expenses and block leakages. Minjibir, however, commended the Kano State Governor, Abdullahi Umar Ganduje, for expressing readiness to even pay N30,600, calling on other governors to emulate him. In Abia State, the NLC said Nigerian workers would not vote for candidates who were not committed to the implementation of the new National Minimum Wage in the 2019 general elections. The state NLC Chairman, Mr Uchenna Obigwe, said this in Umuahia during a meeting with Governor Okezie Ikpeazu, represented by the Commissioner for Information, Chief John Okiyi Kalu. According to Obigwe, “Organised labour requests from the state government a commitment to the speedy implementation of national minimum wage of N30,000 when enacted into law. Responding, Ikpeazu said that the present administration was committed to the welfare of Abia workers. He said that the state government believed that Abia workers deserved the new wage and was ready to pay whatever was agreed. The Nigeria Labour Congress (NLC) yesterday took the demand for a new minimum wage to Anambra State government house, where it tasked Willie Obiano on compliance. Chairman of NLC in Anambra State e Jerry Nnubia, who led the protesting workers to the state governor, said workers are unhappy that it is a new year, and the new minimum wage was till not in sight. The coordinator of the protest and representative of the NLC President Uche Ekwe who had earlier briefed workers at the freedom square before the commencement of the protest march accused government of insincerity. Ekwe also read the address of the National president, Ayuba Waba titled: ‘Pay us new minimum wage now or never, and later handed the copy to the Secretary to State Government, Prof Solo Chukwulobelu, for transmission to the governor. 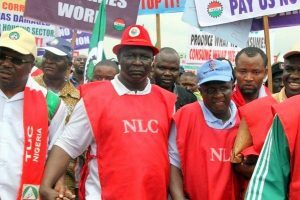 The Nigerian Labour Congress (NLC) has solicited the support and cooperation of all Nigerians in the agitation for the upward review of the National Minimum Wage. The National President of the Union, Ayuba Wabba, gave the advice while presenting the demands of the union to the Bauchi State Governor as part of their nationwide sensitisation rally yesterday. Wabba who represented by the National President of RATTAWU, Kabiru Garba Tsami, said the sensitisation rally was to demand for the transmission of of the bill to the National Assembly for passage. He expressed confidence that the payment ofN30,000 as new National Minimum Wage would be beneficial to workers and indeed Nigerians especially improving their living condition. The Enugu State branch of the Nigeria Labour Congress (NLC) yesterday joined their counterparts across the congress to observe the labour ‘National Day of Protest’. The workers trooped out en masse to participate in the rally that took place at the state secretariat. The state Chairman of the NLC, Mr, Viginus Nwobodo, described the exercise in the state as a `huge success’ as workers turned out in their numbers. Nwobodo said that the success of the protest was a pointer to what would happen if labour eventually went on strike. The chairman who addressed the workers after a peaceful road protest said that the workers were miffed that the federal government had failed to transmit the report of the tripartite committee to the National Assembly. “This protest is as a result of the lingering issue of the national minimum wage. 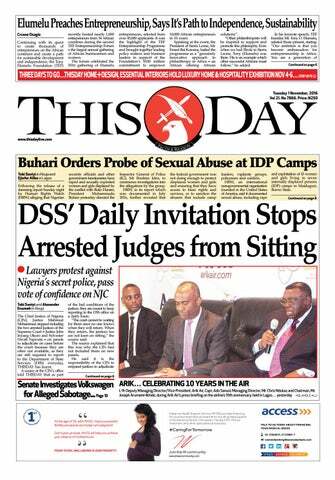 We are not happy that legislative work has not started on the matter,” he said. Governor Ifeanyi Okowa of Delta State yesterday reassured state workers of his administration’s commitment to pay the federal government’s approved national minimum wage for Nigerian workers. The governor gave the assurance while addressing protesting workers under the aegis of the Nigeria Labour Congress (NLC), the United Labour Congress (ULC) and the Trade Union Congress (TUC) at Government House in Asaba. Represented by his Chief of Staff, Tam Brisibe, the governor said that his administration had always maintained a cordial relationship with the labour unions. He added that his administration would continue to ensure that workers welfare was sustained and prioritised. “You know that we have never had any issues with labour in Delta, and my government as you all know is a labour-friendly government. “We acknowledge the letter that you sent in respect of the new national minimum wage; I am sure with the previous discussion your executives had with the government, you already have my commitment,” he said. Governor Samuel Ortom of Benue State has said if he has the capacity, he would pay the state workers above N30,000 as minimum wage. Ortom stated this yesterday in Makurdi while addressing members of the Nigeria Labour Congress (NLC). The governor, who sympathised with the workers, stated that the present N18,000 minimum wage was no longer enough due to the economic situation. “If I have the capacity, I will not hesitate to implement the new minimum wage even above N30,000,” he said. He disclosed that governors had appealed to the federal government to review the revenue sharing formula to enable them pay the proposed national minimum wage. The Organised Labour in Kogi yesterday called on President Muhammadu Buhari to quickly implement the N30,000 minimum wage. Mr Onu Edoka, Chairman of the state chapter of Nigeria Labour Congress (NLC), made the call during a protest march to Government House, Lokoja for implementation of the N30,000 new minimum wage. Edoka said some state governors hiding under the guise of Nigeria Governors’ Forum wanted to distract the president from implementing the new minimum wage. The Nigeria Labour Congress (NLC) in Oyo State yesterday told the 36 governors to be prepared to implement the N30,000 minimum wage. 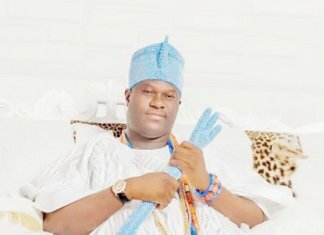 The protest letter was received by the Deputy Governor, Chief Moses Adeyemo, who gave an assurance that the state government would do the needful. Labour Unions and workers across Osun State yesterday joined their counterparts nationwide to protest and demand for the implementation of the N30,000 minimum wage by the federal government. The News Agency of Nigeria (NAN) reported that the protest was led by the Osun leadership of the Nigeria Labour Congress (NLC) and the Trade Union Congress (TUC), Mr Jacob Adekomi and Mr Adekola Adebowale, respectively. The protesting workers matched from the Osogbo Freedom Park to the popular Olaiya Junction through Okefia Area, chanting solidarity songs, to draw the attention of the public to their demand. 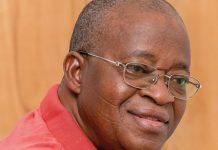 Adekomi told journalists that the protest was to draw the attention of Nigerians to government’s attempt to compromise the agreement reached with workers on the payment of the minimum wage. He said that the government had no justification to deny workers the new wage jointly agreed upon with the labour unions. He maintained that it was not fair for government to always push workers to the wall on matters of salary increment, which is a constitutional issue, subject to review every five years. The protest by the Organised Labour yesterday caused heavy traffic on Lagos roads, while many commuters were stranded at the various bus stops. The News Agency of Nigeria (NAN) reported that the sensitisation protest by the Organised Labour started from Maryland as early as 7a.m., to the Lagos State Secretariat, Alausa, Ikeja. The labour protest also resulted into heavy traffic on Ikorodu road, down to Alausa, Ikeja. The organised labour is protesting over government’s delay in submitting the N30,000 minimum wage report agreed by the tripartite committee. Mr. Solomon Adelegan, Vice President, Nigeria Labour Congress (NLC) told the workers that the current demand for a new minimum wage had gone beyond negotiation stage. 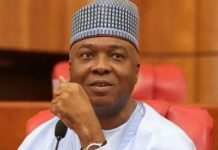 According to him, labour will not renege until the report of the new minimum wage is passed to the National Assembly for implementation. 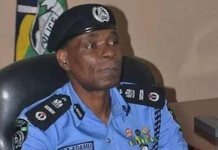 Adelegan said that the essence of the protest was not political but to hand over a letter to Governor Akinwunmi Ambode, to further communicate with the Governors’ Forum on the agreed minimum wage. 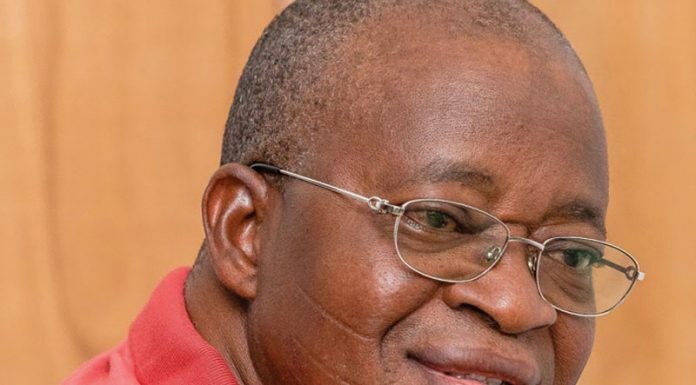 Mr Abiodun Aremu, General Secretary, Joint Action Front (JAF), said that the N30,000 minimum wage was not negotiable, saying that the Civil Society Organisations (CSOs), would support the organised labour till the new minimum wage is implemented. However, when Mr Benjamin Adeyinka, a Special Adviser to Governor Ambode told the protesting workers that the governor was not available, they shouted and insisted that the gate should be opened. Adeyinka was not allowed to make further speech, as the protesting workers insisted that they did not want to hear from him. Some of the placards carried by the workers read: “N30,000 minimum wage, not negotiable”; “place politicians and workers on the same living wage salary structure”, among others. Kaduna State chapter of the Nigeria Labour Congress (NLC) yesterday chided state governors stalling the implementation of the new national minimum wage, saying their action was self-serving. “The governors do not patronise markets and therefore ignorant of the suffering of workers and other Nigerians,” Adamu Ango, Chairman of the chapter said yesterday in Kaduna while addressing a protest over the new minimum wage. “Everything about them has been taken care of by the government with huge sums of money. “Same people hide under security vote to spend any amount of money without being audited, but for workers to be paid N30,000 they are saying no. “If government is truly fighting corruption they should pay a living wage not even minimum wage,” he stressed. Ango explained that the protest was summoned by organised labour to sensitize workers on the agitation for a new national minimum wage. Also the state Chairman of Trade Union Congress of Nigeria (TUC), Shehu Mohammed, said in a message that the new national minimum wage was the constitutional right of workers and not a privilege. He therefore advised President Muhammadu Buhari to transmit a bill for the minimum wage to the National Assembly, to avert further confrontation with workers.